The St. Louis Cardinals system went 4-5 on Wednesday. Player of Day Anthony Shew threw six scoreless innings with 10 strikeouts for Springfield. Outfielder Adolis Garcia remains red hot, with two home runs, raising his season total to 21. Recaps of games played on Wednesday, August 1. The visiting River Cats pounced on Redbirds’ pitching and enjoyed a 6-3 victory on Wednesday. Memphis starter Chris Ellis logged pitched into the sixth. Sacramento scored two runs apiece in the second, fifth, and sixth innings, and they were all earned. Ellis took the loss and dropped to 3-3 this season. 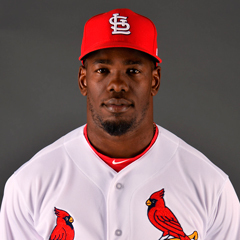 At the plate, Redbirds right fielder Adolis Garcia smacked two long balls – a two-run shot in the third inning and a solo homer in the eighth. Garcia is now up to 21 for the season. First baseman Rangel Ravelo scored on Garcia’s two-run shot, and left fielder Randy Arozarena’s double was the only other extra-base hit of the game for Memphis. Thursday’s game: Jake Woodford (2-2, 3.33) vs. Sacramento River Cats, 7:05 PM Central time. With two runs in the bottom of the 10th, the Cardinals enjoyed a 5-4 walk-off victory over the Tulsa Drillers at Hammons Field. The Drillers took the lead in the top of the 10th inning against Cardinals reliever Derian Gonzalez. In the bottom of the frame, third baseman Evan Mendoza tied the game with a base hit before first baseman John Nogowski won the contest in the same manner. 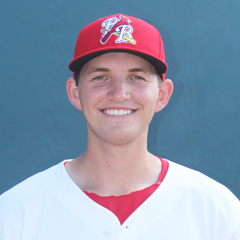 Cardinals second baseman Andy Young batted in all three of Springfield’s runs scored in regulation, with a three-run homer in the third inning. 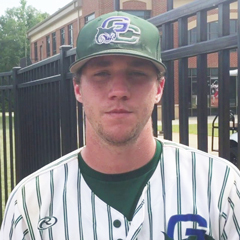 Starter Anthony Shew, our Player of the Day, dazzled with six scoreless innings, punching out 10 Drillers. Elniery Garcia pitched the seventh, and Hector Mendoza pitched the eighth before Gonzalez handled the final two innings. Gonzalez was charged with a blown save and the win, his third victory in as many decisions. Thursday’s game: Matt Pearce (0-2, 4.26) at Northwest Arkansas Naturals, 7:05 PM Central time. Palm Beach couldn’t overcome a late Tortugas rally and fell by a 4-3 final score in Wednesday’s game, held at Roger Dean Stadium. 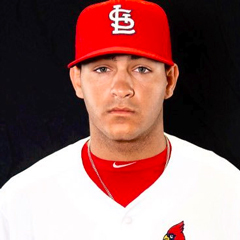 Cardinals starter Evan Guillory turned in 4 ⅓ innings, during which Daytona Beach took moderate advantage of nine hits and four walks by scoring twice. Colton Thomson followed with a pair of scoreless frames before the Tortugas put up two more runs in the eighth inning against Yeison Medina. Jacob Patterson worked a clean ninth, but the Cardinals’ offense did not come back. Palm Beach designated hitter Ryan McCarvel went 2-for-3 at the plate, including a two-run home run in the first inning. Right fielder Dylan Carlson had a pair of hits and scored a run, and shortstop Kramer Robertson went 3-for-5. Carlson and center fielder Scott Hurst each had an outfield assist, as they cut down runners at home plate. Thursday’s game: Ian Oxnevad (4-5, 5.02) vs. Daytona Tortugas, 5:30 PM Central time. Fueled by early offense and strong pitching, the Chiefs were 4-3 winners over the Kernels at Dozer Park on Wednesday. Peoria put up three runs in the bottom of the first. Third baseman Yariel Gonzalez drove in right fielder Nick Plummer on a sacrifice fly, and center fielder J.R. Davis plated catcher Dennis Ortega and first baseman Zack Kirtley on a double. Designated hitter Elehuris Montero had an RBI double in the fifth, accounting for the Chiefs’ fourth and final run. Although they were victorious, Peoria went just 1-for-10 with runners in scoring position. Chiefs starter Alvaro Seijas logged a quality start with six innings of two-run ball to improve his record to 4-6. Thomas St. Clair earned his third hold with 1 ⅔ innings of relief, and Kodi Whitley earned a four-out save, recording three strikeouts. 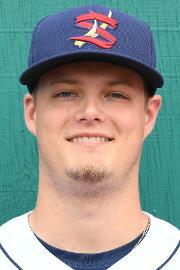 Thursday’s game: Jake Dahlberg (MWL debut) vs Cedar Rapids Kernels, 7:00 PM Central time. A two-run ninth-inning comeback fell just short as the Spikes lost by the slimmest of margins, 5-4, to the Muckdogs at home on Wednesday. Spikes second baseman Nick Dunn went 2-for-5 with three runs batted in, including two on his ninth home run. First baseman Brady Whalen had two hits and scored twice, including on his solo home run in the second inning. Franyel Casadilla started for State College and took the loss after allowing four runs. Will Changarotty pitched very well in relief, recording 3 ⅔ frames with only one run (unearned) surrendered. Troy Montemayor worked a scoreless ninth. Wednesday’s home game against the Elizabethton Twins was postponed due to rain. It will be made up as part of a doubleheader on Thursday. Tommy Parsons (2-1, 4.21) will start the first game at 6 pm, and Cole Aker (4-0, 2.63) will start the nightcap. A pair of two-run frames led the Cardinals over the Mets, 4-2, before rain ended play after the top of the eighth inning. Cardinals catcher Brandon Purcell hit a two-run home run in the sixth inning, and center fielder Carlos Soler and first baseman Zack Gahagan knocked in a run apiece in the fourth inning. Right fielder Victor Garcia scored twice, and the Cardinals stranded only four runners. Connor Coward started for the Cardinals and earned his second win of the season with five innings of one-run ball. Chris Rivera earned his first save after pitching the sixth and seventh innings. Thursday’s game: TBA vs. GCL Astros, 11:00 AM Central time. With struggles on both ends of the game, the Cardinals fell to the Tigers by a 6-1 score. 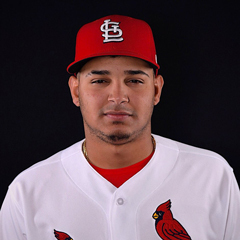 Cardinals starter Jose Moreno dropped to 2-4 on the season after allowing four earned runs in his five-inning outing. Sebastian Tabata allowed two runs in as many innings before Nelson Prada logged scoreless eighth and ninth frames. The Red had just three hits on Wednesday; one each by third baseman Luis Andujar, first baseman Cristhian Longa, and second baseman Erik Pena. Andujar drove in Pena in the bottom of the fifth inning to account for the Cardinals’ only run. Thursday’s game: at DSL Tigers 1, 9:30 AM Central time. In the opener of Wednesday’s twin bill, the Cardinals Blue took a road win at Mets1 by a 5-3 score. After the Blue took a 1-0 lead in the top of the first, the home club plated two against Cards starter Julio Puello in the fourth, his final inning. A four-run burst in the fifth gave the Blue the winning edge, with the big blow a two-run double by pinch-hitter Adanson Cruz. Other runs were plated by Malcom Nunez and Jean Selmo, who also doubled. The Blue had just six hits, but went 3-for-6 with runners in scoring position. Reliever Angel Cuenca pitched two innings and despite yielding a run in the sixth, was the pitcher of record when the comeback occurred. Anthony Trompiz tossed two perfect innings to claim his second save. A slow time at the plate turned into a loss for the Cardinals Red, as they fell by a 5-1 score to the Mets in a six-inning game to complete the Wednesday twin bill. Left fielder Jean Selmo drove in second baseman Elvin De Jesus for the Cardinals’ lone tally. Selmo, De Jesus, and third baseman Malcom Nunez each had one hit to make up the Cardinals’ total of three for the game. The Blue stranded five runners and went 1-for-7 with runners in scoring position. Cardinals starter Hector Soto took his fourth loss in ninth decisions after giving up four runs (two earned) in his three innings of work. Soto faced four batters in the fourth, when the Mets scored three runs. Miguel Yedis delivered two innings of scoreless relief before Leonardo Taveras pitched the sixth and final frame. Thursday’s game: vs. DSL Mets 1, 9:30 AM Central time. Join The Cardinal Nation for the most comprehensive coverage of the St. Louis Cardinals from the majors through the entire minor league system. Follow Josey Curtis on Twitter @Curtis_Josey. © 2018 The Cardinal Nation, thecardinalnation.com. All rights reserved. This material may not be published, broadcast, rewritten or redistributed.